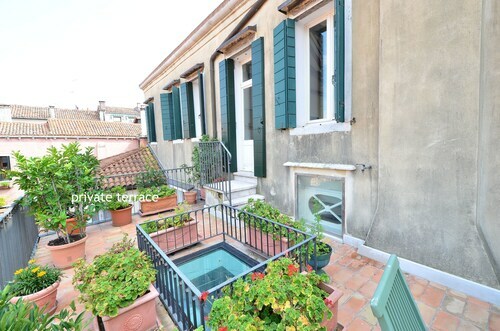 Located in Venice (Dorsoduro), this apartment is within a 10-minute walk of Ca' Rezzonico and Academy Gallery. This apartment is 0.6 mi (1 km) from Peggy Guggenheim Museum and 0.7 mi (1.1 km) from St. Mary of the Friars. Make yourself comfortable in this air-conditioned apartment, which has a kitchen. There's a private balcony. A flat-screen television with digital programming provides entertainment, while complimentary wireless Internet access keeps you connected. A private bathroom with a shower/tub combination features a deep soaking tub and a hair dryer.